One of the most difficult challenges almost all businesses face, whether big or small, is acquiring customers. According to some business authors, acquiring a new customer can cost five times as much as retaining an existing customer. With limited budget allocated to marketing, some of these companies are sometimes left wondering whether they should at all acquire new customers or just try and retain the existing. And this is where relationship marketing comes into play. Relationship marketing is about forming and maintaining long-term relationships with customers. Relationship marketing strategies involve all those practices which attempt to foster and nurture customer loyalties by providing exemplary services. It’s how companies refine their marketing efforts in order to prioritize and maximize the value of relationship for their customers. Hence, one of the key factors of successful relationship marketing is trust. When we talk about eCommerce relationship marketing (also known as r-commerce), a lot of its success depends on perceived website quality, ease of navigation, and user’s online shopping experience. For instance, people with a higher level of perceived website quality seem to have a higher level trustworthiness and they are more likely to spread a positive word-of-mouth about the business. 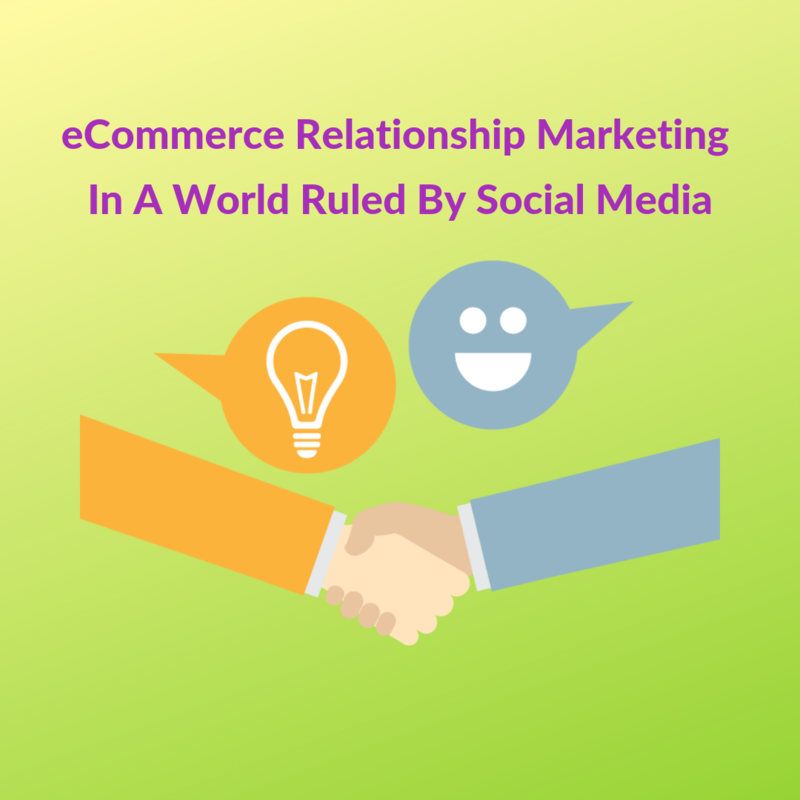 In today’s marketing dynamics, social media and relationship marketing go hand in hand, especially for eCommerce businesses. Some examples of social media relationship marketing are influencer programs and referral campaigns. Social media plays a vital role in allowing businesses to interact and engage with their customers in a more informal and ongoing manner. Tweet This! Basic Marketing involves more of direct selling and doesn’t include a lot of follow ups or further communication post sales. Reactive Marketing is when you ask your customers for feedback and encourage them to leave positive reviews. You can also inform them of new offers, share short videos in Instagram and repost photos. Accountable Marketing is the kind of relationship marketing when businesses remind their customers of when they had bought their products and also checks on their customers after a purchase. This kind of marketing promotes confidence in what you are offering and tries to show you as a trusted business. Partnership Marketing encourages and maintains customer satisfaction levels and by coming to a point where both parties get what they want. This is the most superior form of relationship marketing between businesses and their customers. The success of eCommerce customer retention depends a lot on how well you partner with your customers and move towards mutual benefit. Proactive Marketing takes things to an even more personal level where businesses stay in touch with their customers on a regular basis and uses data to understand their previous campaigns’ successes or failures, thereby creating more engaging opportunities. 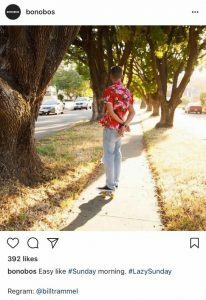 This paves the way for relationship marketing and customer loyalty walking hand in hand. Huge Return on Investment: According to a Harvard Business Review article, increasing customer retention by 5% increases profits by 25%-95%. About two-thirds of all businesses have reported higher profits whenever they have taken that extra step to retain their existing customers as compared to acquiring new ones. Happy customers mean better feedback: Businesses who understand the importance of relationship marketing will try and transform each of their customers into brand ambassadors. If you can get a customer to fall in love with your brand, they will recommend it to others, and you would have simply recruited a marketer more effective than anyone on your team. Word-of-mouth is a powerful tool in relationship marketing. Implementing change becomes easier: A business wouldn’t dream of bringing changes, such as price increases, if it knew it would lose customers. But a robust relationship marketing in eCommerce can help soften the blow and make these transitions smoother. Loyal customers are less likely to ditch you at the first signs of change. Improves marketing efficiency: Even if a business is able to retain 1% of its customers, it significantly reduces its acquisition budget. Besides, an existing customer is less likely to put a strain on your customer support. These small savings can help you in trying out new things in marketing and in engaging better with your customers in the long run. How does social media support relationship marketing for a business? 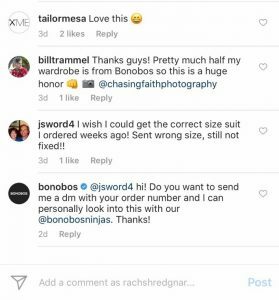 Building customer-brand relationships on social media is something eCommerce businesses depend on significantly. This is because social media develops word of mouth advertising organically. Relationship marketing through social media creates a bond with your customers and followers, and that influences their purchasing decisions. 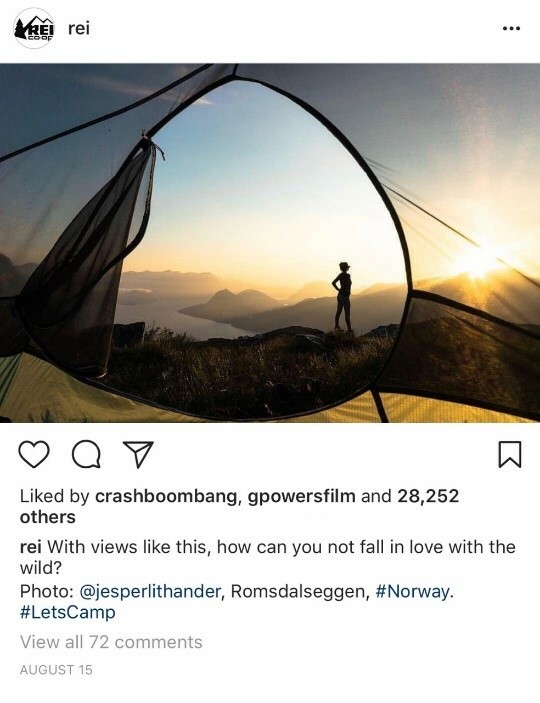 We have collected some great relationship marketing examples on social media to help you understand social relationship marketing on different social media platforms. Download your guide and learn the tips and tricks for increasing your eCommerce sales. For years, Lay’s has been running different crowd-sourced competitions to spark product innovation and renew customer enthusiasm, all at once. 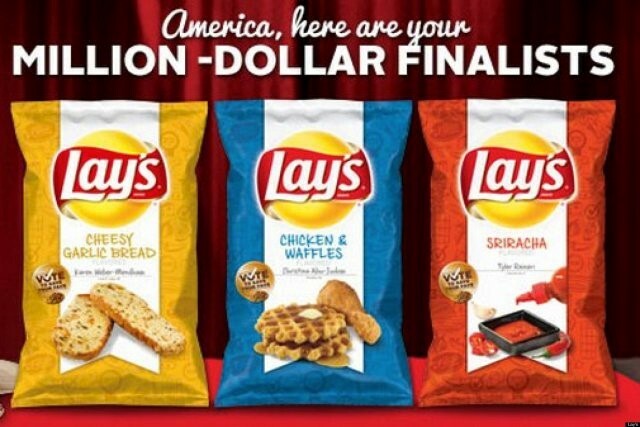 The company first launched the “Do Us A Flavor” campaign in the United States in July 2012 with a pop-up store in Times Square showcasing 22 Lay’s flavors. The Company then created a Facebook page that offered participants the ability to easily submit proposals for new potato chip flavors. 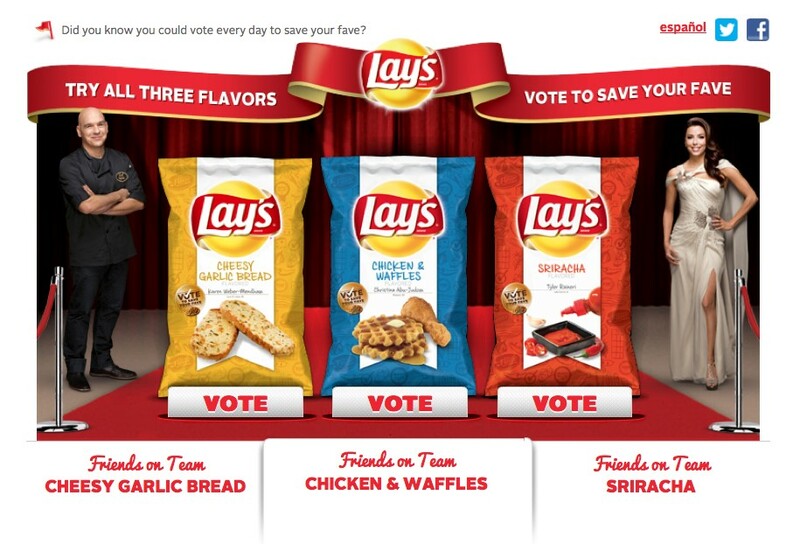 Once submitted, users received a generated image of a Lay’s bag customized to reflect their submitted flavor. Participants could then share their Lay’s image on their social media platforms. 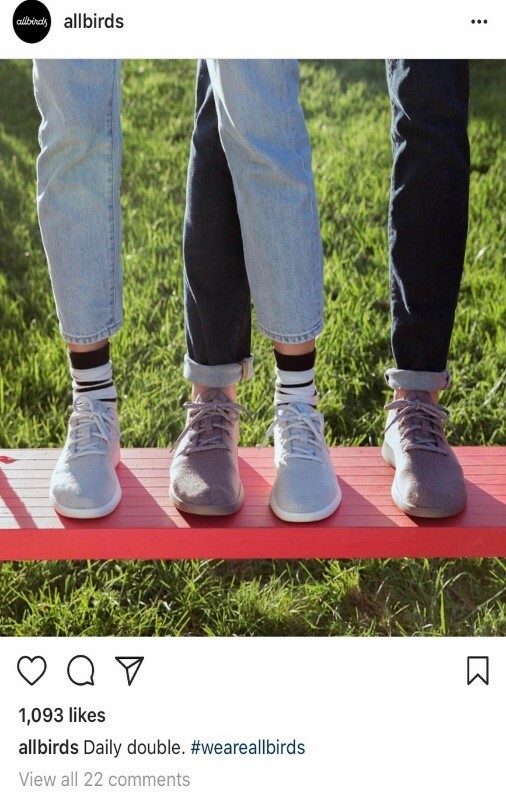 Along with the positive brand awareness it created, this campaign was seen as a great example of relationship marketing as the company also got an in depth insight on their customer’s preferences. It was also able to shorten their product development life cycle by almost half. Twitter is most probably the only social media platform where you can really showcase excellent customer service. And there is no better way to create relationships with your customers than good customer service. According to a study, 99% of brands are on Twitter, and 30% of them have a dedicated customer service handle. Managing your online presence on this social media giant and listening to your customers are two secrets to Twitter relationship marketing success. 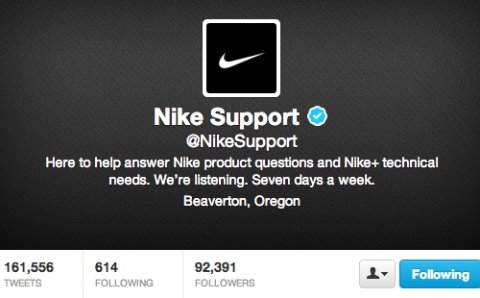 @NikeSupport is a prime example of customer service done well. They constantly respond to their followers on Twitter. Every few minutes, you can see them respond to someone new. 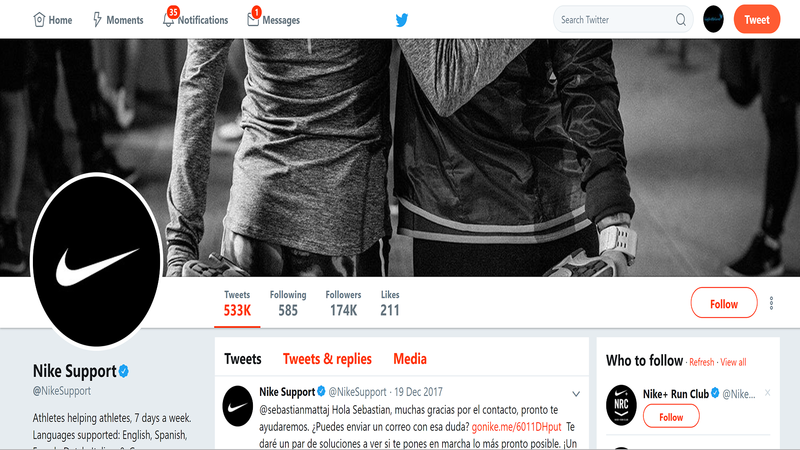 If you see below, @NikeSupport has tweeted 160k times. 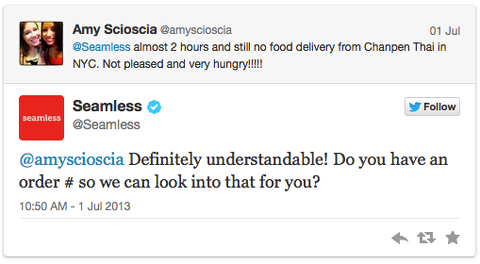 Seamless, an online food ordering service serves customers in several time zones across the United States and in London. And hence, there’s always someone ordering food. This company not only engages its customers through trivia questions and free food prizes, they also provide customer service around the clock. 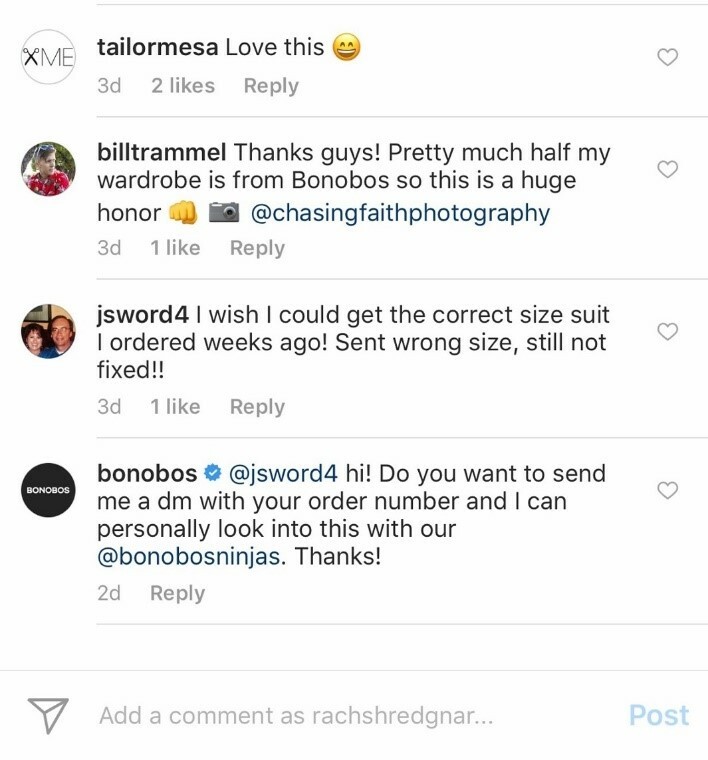 Customers don’t just want to follow you on Instagram to see the pictures you share; they want a more personal view of the brands they follow. 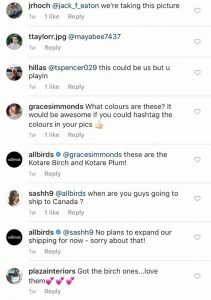 As an eCommerce business, your aim on Instagram should be to take customers behind the scenes to tell the world how your business operates. Providing images of your products, office culture and employees is a great way to build a more personal rapport with your followers on this platform. 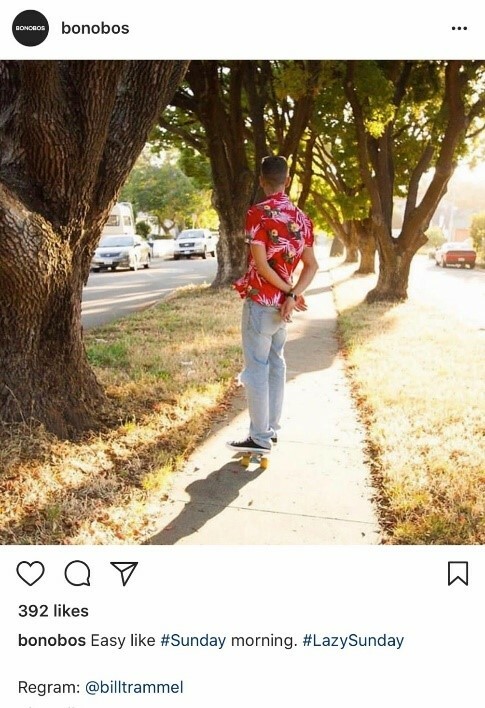 It’s so very important to be authentic to your brand and your followers. Stay true to your values and don’t be overtly salesy. 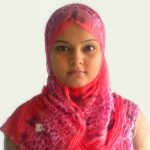 You could also ask your power users to be your brand ambassadors. 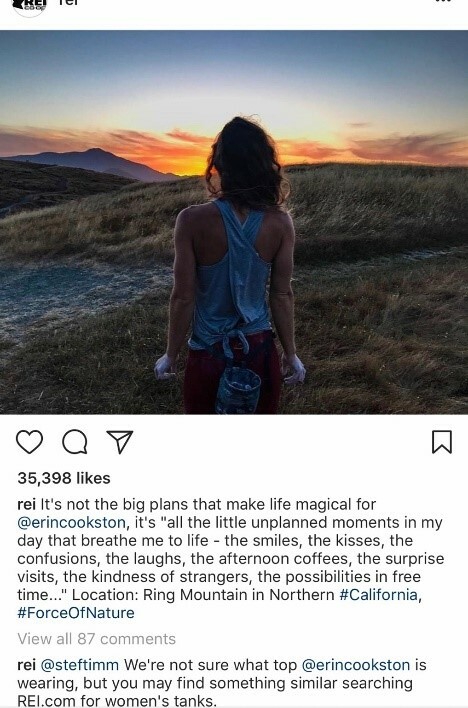 REI has created a voice on Instagram that is encouraging, knowledgeable and enthusiastic. 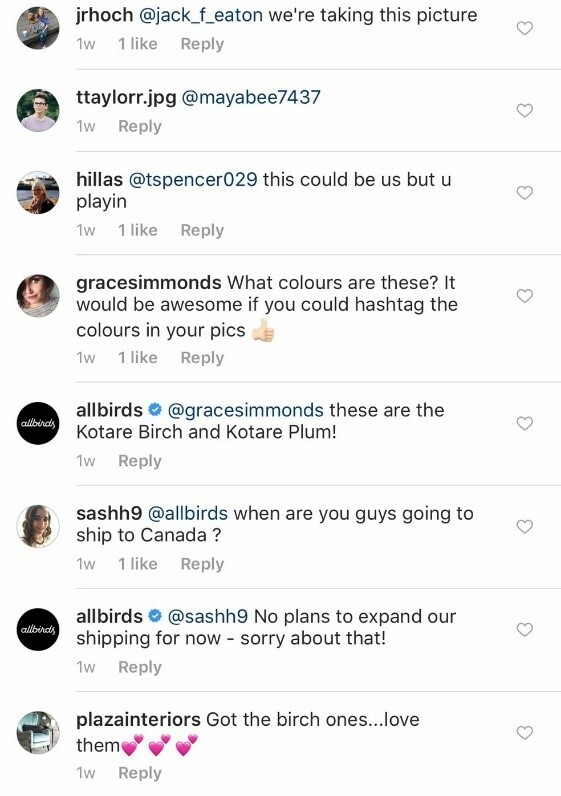 They share user-generated photos in which they tag their fans and sometimes feature their products with an intention to sell. eCommerce relationship marketing is not an overnight process. It’s a long term continuous process of engaging with your hundreds of loyal friends. Having patience can drive a successful relationship marketing. Social media relationship marketing always pays because these platforms were born to build and nurture relationships.